Jonathan sings with an honest, heartfelt voice that compliments his storytelling. Click for audio only – entire show. Click for audio only – mainly the tunes – not much chatter. The Duncan Showroom is the best place for this ‘live from the stage’ recording event. The venue has excellent audio and lighting equipment in a small, comfortable room loaded with atmosphere. I will do original tunes for an audience that will, hopefully, include you. I’ll do the same songs in each of two sets and take the best of each to make an EP. Your donation of $5 – $10 gets you in for both sets – at 8 and 9pm. The Visionary Mind is fresh out of the studio of David Dowe. I wrote the song and laid down the vocal lines and a couple of basic guitar tracks. David is the producer and engineer. He added bass, drums, lead guitar, and lots of good sounds that really bring the tune alive. Contact him at Davidsdowe@gmail.com . You are probably here for the music, so go directly to the ‘music’ tab, then check out the ‘Live Performances’ and ‘Electronic Press Kit’ tabs. And you can click on the links below. 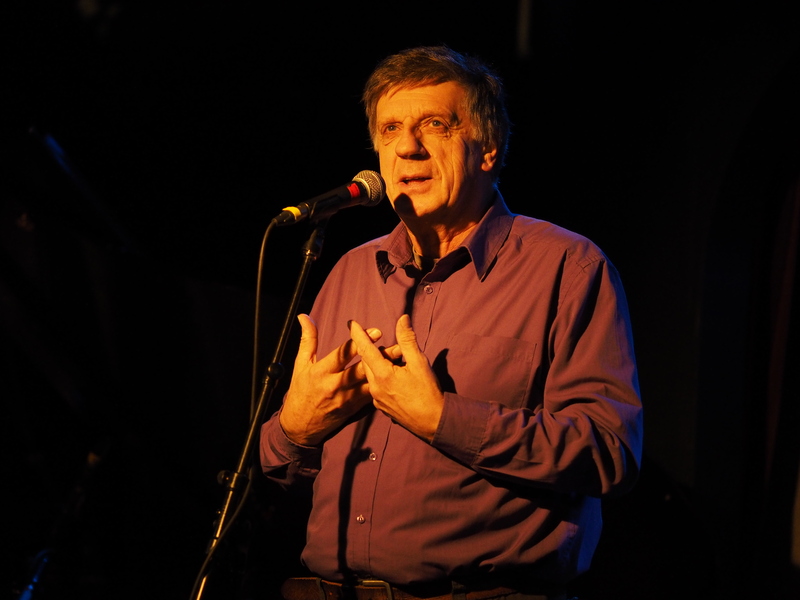 CD Launch Concert Oct. 9, 2015. Northern Arts and Cultural Centre, Yellowknife, NT. I’ve been involved in music all my life, but taking on the persona and challenges of a solo artist has been a recent development. It started in early 2005 at an open mic in Inuvik and, after stints as a player of bass guitar, harmonica, and piano in various bands, I decided to focus on the singer-songwriter mode. If it wasn’t so ungainly, I’d use the term “seer-singer-songwriter-composer-performer-story-teller-multi-instrumentalist“, but let’s just stick with ‘singer-songwriter’ for now.Yellowknife has been my home since January 2008, and it is a wonderful creativity incubator. I particularly value the performance opportunities offered by the festivals, bars and cafés that cater to live music, and the constructive criticism and training that many musicians and other artists have offered. Two independent musicians residencies at the Banff Centre were a huge boost, as was funding from the Northwest Territories Arts Council. My first CD, Acasta Island, is available at CD Baby. You can also hear the CD (with one of the tunes re-recorded plus other tracks) on SoundCloud. Also, check out the video link at the top of this page. My second CD, Rock Walker Blues, is also available on CDBaby. and matching sky and sun. The Visionary Mind is a new track fresh out of the studio of David Dowe (davidsdowe@gmail.com); he is the producer and engineer for the the tune. I wrote the song and laid down the vocal lines and a couple of basic guitar tracks; David added bass, drums, lead guitar and lots of good sounds which really bring the tune alive. 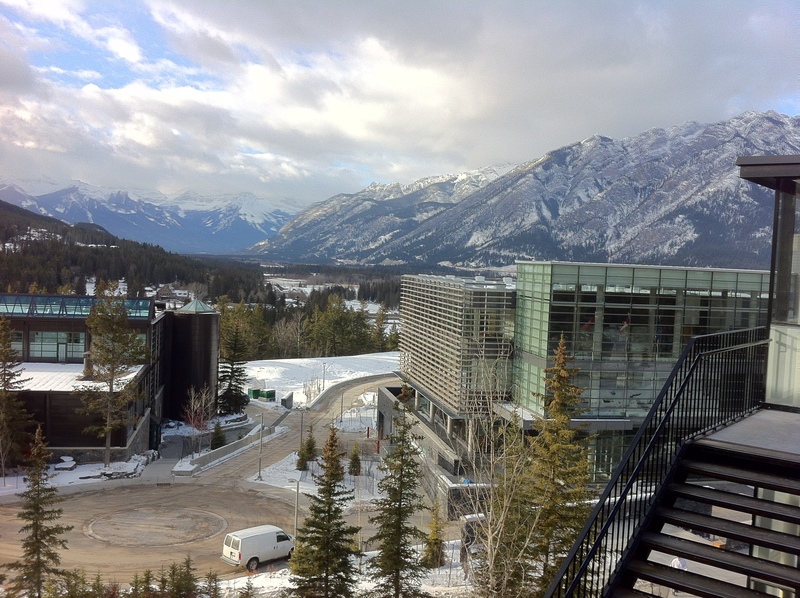 The Banff Centre for the Arts and Creativity nestled in the Canadian Rocky Mountains. Banner photo by Bent Lens – @bentlensphotography on Facebook.